By developing state-of-the-art computer-based control systems for greenhouse growers without the need to understand the complexity of a computer, Micro Grow is a leader in its field. Its toggle switch front panels and pre-set factory settings take the worry out of the greenhouse grower's hands in either single or multiple zones. The company's products are sold to universities, well-known research institutions and greenhouse farmers, and currently being used in many countries, including Iraq, China, Holland and South America, just to name a few. 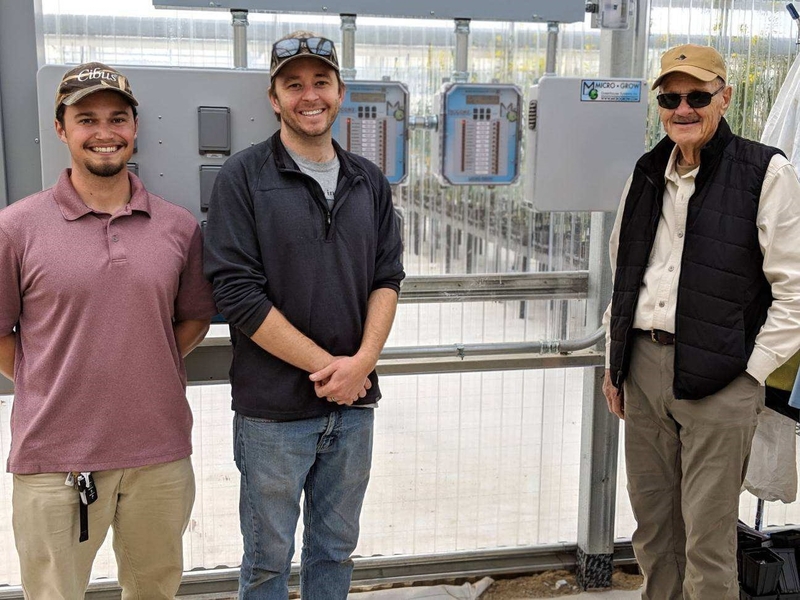 Cibus US LLC Employees and Dempsey Sawyer of the Leichtag Foundation in front of the newly installed MicroGrow Pro-Com II greenhouse automation system. Recently constructed Agra Tech greenhouses along with Microgrow's state of the art greenhouse automation system have allowed Cibus, a San Diego based agricultural biotechnology company, to automate and maintain optimal production environments for their research needs. Features like remote monitoring, automated alarm capability, and top-of-the-line environmental control settings and programs have drastically improved greenhouse production capability. 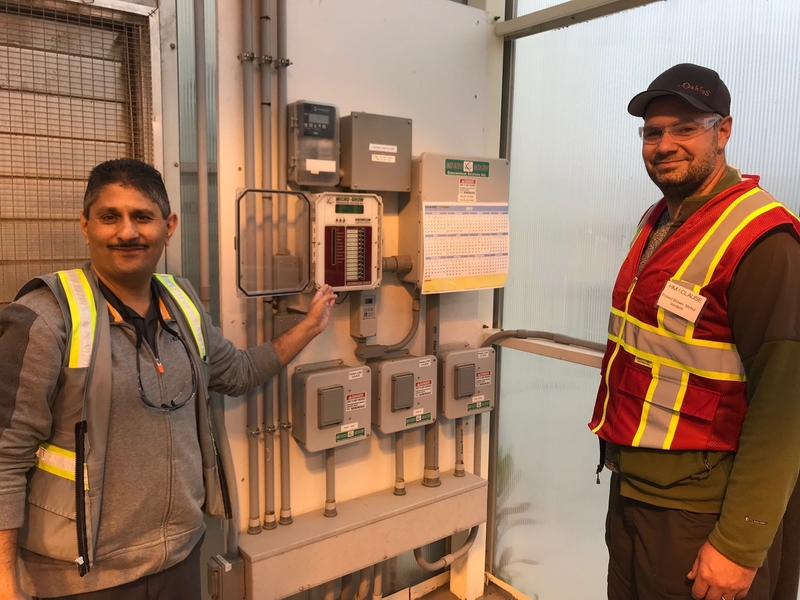 In 1975, Micro Grow's Owner Piini was hired as an electrician's helper for a large greenhouse company and for a short time was employed by a company that makes greenhouse controls. 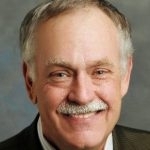 "After learning the business and the industry, I began thinking about how to improve these climate controls," he said. "One of the first systems I worked on had only two dials--one for day and the other for night to regulate temperatures. I knew I could improve it, so I designed one with four dials; two for day and night heating and the two for day and night cooling. Greenhouse growers loved it immediately." With great reviews and growing sales, Piini hit the road. 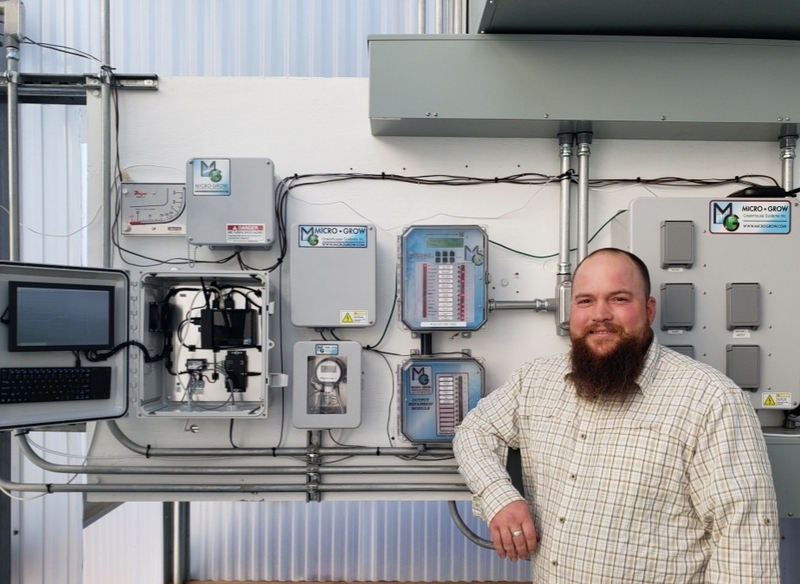 "I started driving around in an old Datsun pickup and began doing the electrical work on greenhouses while building my very first controls in my garage. The first greenhouse I worked on was in Salinas, CA and it's still there doing its job every day." After working with a team in Silicon Valley to develop the first microcomputer-based climate control system, Piini (now 65) decided to go out on his own and establish Micro Grow Greenhouse Controls in 1980. 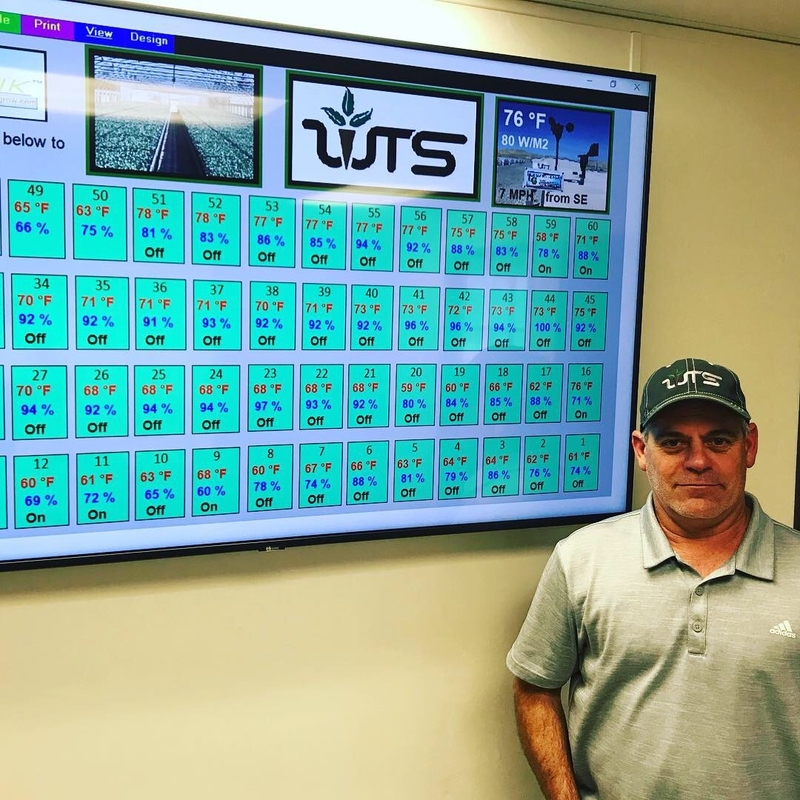 "Since the very beginning, we've always tried to develop controls based on what the growers want and using their input to make the best," he said. "Our customers would tell us about their concerns and things that they had problems with, and we quickly became their go-to guys. 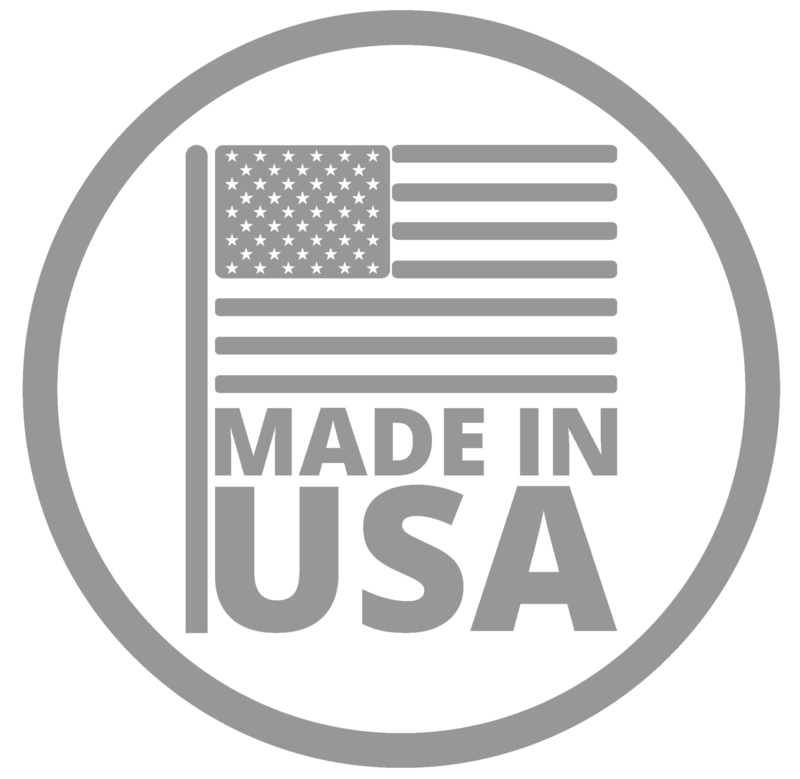 We have succeeded by manufacturing cutting-edge and innovative products and working hard to build strong relationships with our customers." Mark Woods of Woods Transplants next to the remote monitor that shows each of his greenhouses. Mark means business. He has 28 acres and over 400,000 sq ft of greenhouses to keep track of. Growing transplants at this volume requires a high level of control & uniformity across the board. Early on, Piini decided to develop solutions-based climate control systems that are renowned for being affordably priced, easy-to-use and well-supported. "When anyone buys anything from us, we give them technical support for the life of the system," he said. "Other companies charge their customers, but that's not the way we do business. In fact, some people using our competitors' products will contact us and ask for support and we give it to them because we care about the industry more about making a quick buck." With everything Micro Grow sells, the company stresses affordability, simplicity and longevity, Piini said. "Our competitors sell systems that cost $50,000 and they can get essentially the same thing from us for $2,200 with the same algorithms. We have sold some systems in greenhouses that are still going strong after 25 years. You don't ever need a manual to learn how to use one of our systems, because we make everything simple and user-friendly." Two years before he even founded Micro Grow, Piini discovered Agra Tech when he met the company's owner John Pound at a trade show. 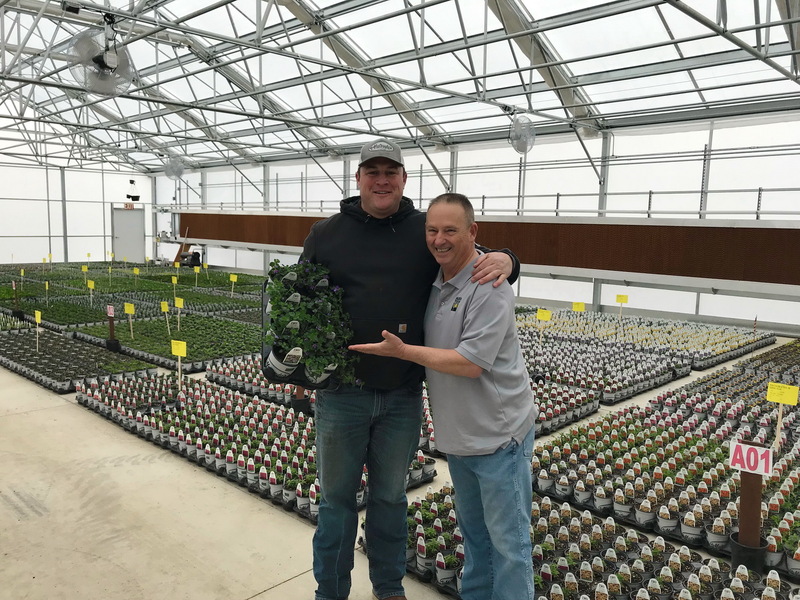 "I liked John instantly--he's a great guy with this booming voice and I knew right away that he has a passion for the greenhouse industry. We started working together with Agra Tech on a few projects and it has been an amazing relationship since. Everyone--John, Anita, Adam, Jim, Kent--are easy to work with and willing to do whatever it takes to serve the customer. We talk things through because they are approachable and accessible. Whenever I call Agra Tech, I know that I can talk to the owner and that I'll get the answers I need, because their knowledge and experinece are extensive." Rob Hogan of Fresh Farm Aquaponics, Wilton, CA. Site of the worlds first aquaponics farm for producing caviar & lettuce. Micro Grow controls heating as well as positive pressure cooling in the greenhouses. Micro Grow designs and builds all of its products out of its production facility in Temecula, CA that employs 15 people in-house and five out in the field. 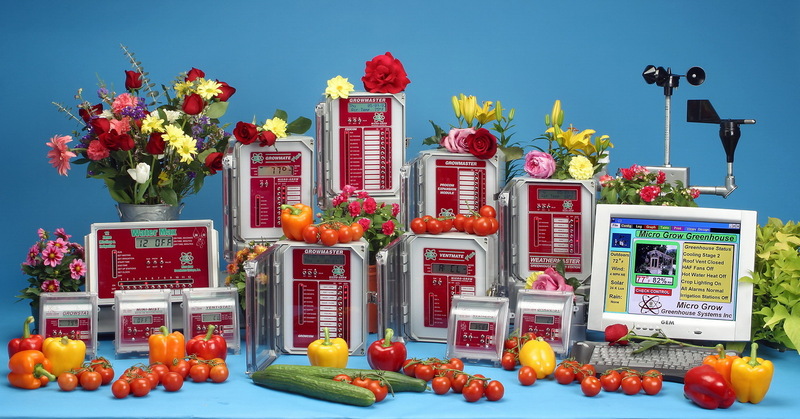 Their number one system is called the Growmaster Procom that is the preferred system for hundreds of commercial and research greenhouse growing operations worldwide. From one single zone of operation to more complex multiple zone applications, the Procom delivers features “state of the art” control algorithms based on internal conditions as well as outdoor weather conditions, Piini explained. By providing viable solutions for greenhouse growers worldwide, Micro Grow will continue to flourish as the industry changes. "We love our customers because they aren't afraid to get their hands dirty and get excited when they grow new species of plants. This is a 'feel good' industry where everyone helps each other. We are not in this to become millionaires and enabling our customers to succeed is our #1 goal. 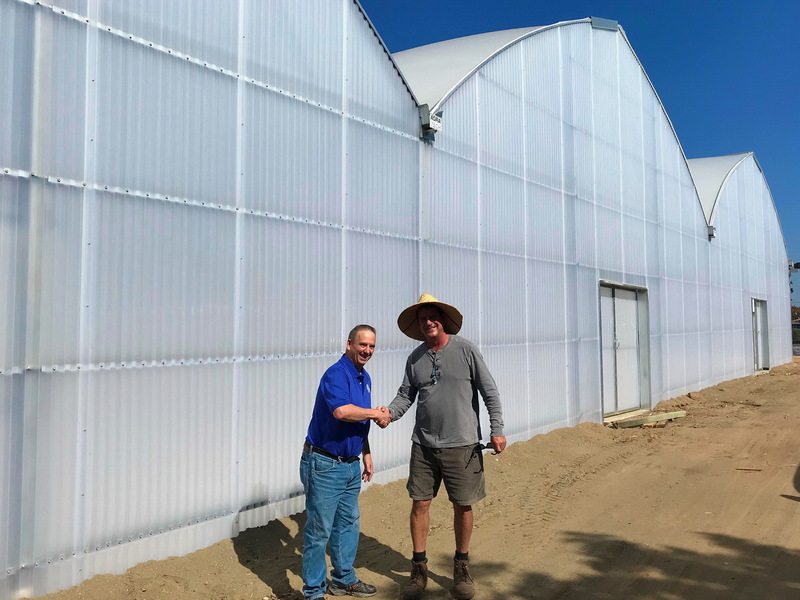 I have no plans to retire, but when I do, I want my employees to own and run this business and be a part of it as this greenhouse growing industry gains momentum and evolves at a rapid rate." Mehul Gandhi of HM Clause GH facilities Supervisor & Robbie Brown grower @ D&B Organic Family Farms.